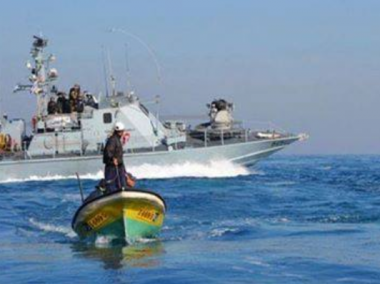 Israeli navy ships attacked, Thursday, several Palestinian fishing boats in the Sudaniyya Sea area, northwest of Gaza Strip, and abducted two fishermen, before confiscating their boat. Eyewitnesses said the navy fired many live rounds at the fishing boats, while sailing less than four nautical miles from the shore, and abducted two fishermen after forcing them to undress and jump in the cold water. The two, identified as Sameh Haidar al-Qoqa and Shawqi Saleh Bakr, were abducted before the soldiers took them, and their boat, to Ashdod Port.